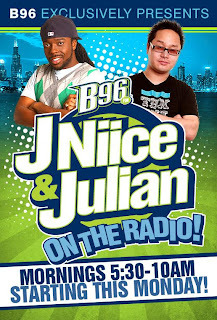 CBS Radio's WBBM-FM B96.3 has named Jamar "J Niice" McNeil and Julian Nieh its new morning team, replacing the veteran duo of Eddie Volkman and Joe "Jobo" Bohannon, who were pulled off the air last month in what management said was a bid to take the station in a new direction. "J Niice & Julian on the Radio" is set to make its debut Monday in the 5:30-10 a.m. slot. The two were at Clear Channel's Hot 99.5 WIHT-FM in Washington a few years back. Nieh left that station to become WBBM's weeknight host in mid-2006 and McNeil joined B96 this spring from Clear Channel's WHYI-FM in Miami. All the best to these two talented local jocks, who have emerged out of Rhythmic/Pop radio. If they worked in urban radio, do you think they would have developed. 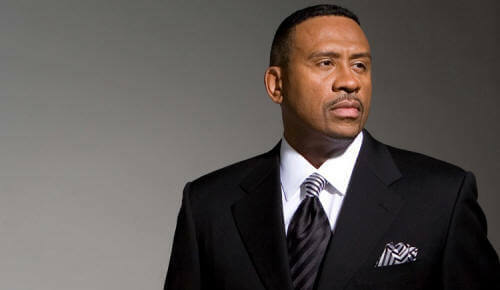 Where are the up and coming jocks in urban radio? Seems like a stunt to TRY and create a buzz. When you do things like this before you even debut, you know they are doomed to flop.